If you have ever used an escalator you might have noticed that there are partition panels respectively at the bottom and top of the escalator. These partitions are usually paved with embossed aluminium sheet coil that have a good pressure bearing capacity and are made of composite metals. As a matter of fact, there are various patterns and applications of embossed aluminium coil, and here we will give a simple introduction. 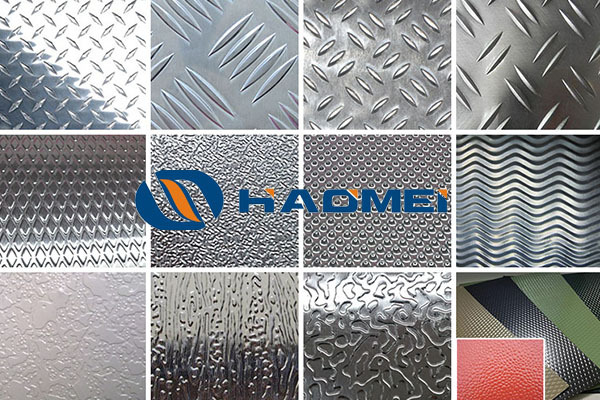 Aluminum sheets with patterns on the surface is called embossed aluminum sheets or aluminium tread plate. Pattern shapes include lentils, diamonds, round beans, and oblate mixed shapes. The market is most common in lentils. The aluminium tread plate has beautiful appearance, excellent anti-slip property, enhanced performances, and material-saving advantage in production. It is widely used in transportation, construction, decoration, equipment, floor, machinery, shipbuilding and other fields. Generally speaking, clients require little of embossed aluminium coil suppliers about the mechanical properties the plates but more about pattern flowering rate, the pattern height, and the pattern height difference. 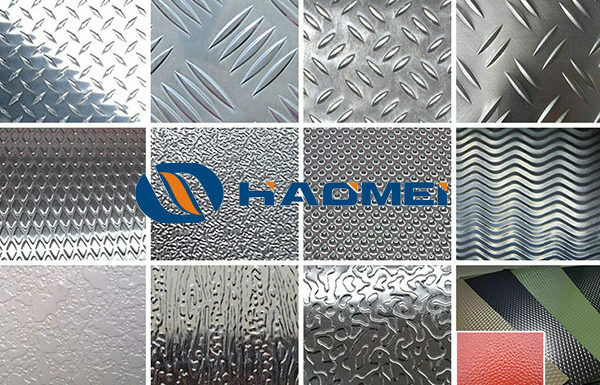 At present, the thickness of commonly used embossed aluminium sheets in the market ranges from 2.0mm to 8mm, and the width is commonly between 1250 and 1500mm.